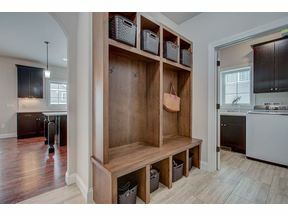 Gorgeous...Gorgeous 2-Story Home w/4 Bedrooms, 2.5 Baths + 3 Car Garage! Spacious Great Room w/Fireplace opens to a Magnificent Kitchen w/Huge Center Island, Walk-in Pantry, Beautiful Maple Espresso Cabinets & Quartz Counter Tops! 1st Floor Office! Screen Porch off the large Dinette w/an adjacent 11x10 Maintenance-free Deck! 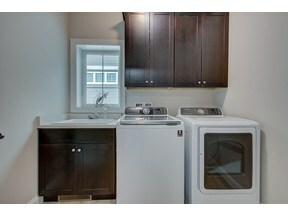 1st floor Mud Room w/separate Laundry off Garage! All 4 Bedrooms upstairs including Private Master Suite featuring a Walk-in Tiled Shower, Whirlpool Tub & Huge Walk-in Closet! 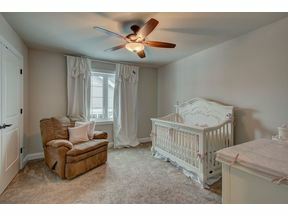 The large 4th Bedroom could be used as Bonus/Play Room if needed! Exposed L/L w/big windows for future finishing!